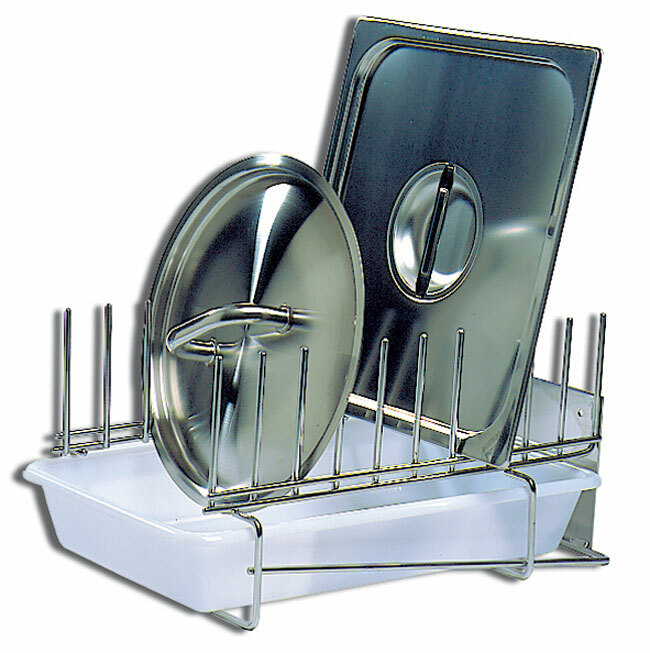 Stainless steel, rack for 10 lids. from 9 1/2” to 19 3/4” diameter. Length/Width 15 3/8” x 12”.